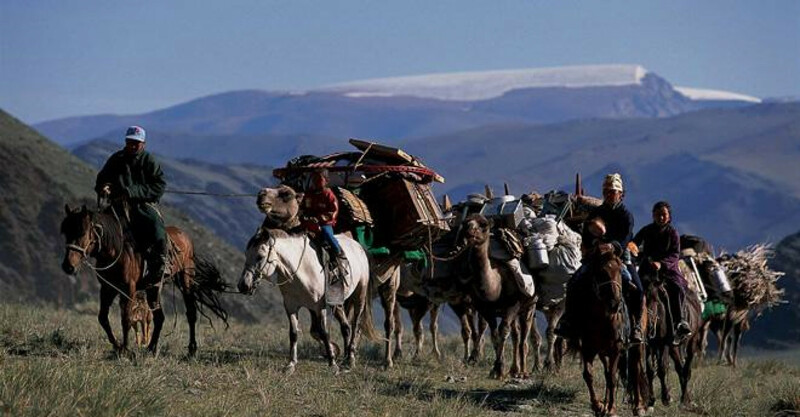 Traditional Kazakh games hosted by the people of Altai Tavan Bogd National Park. This event sponsored by Blue Wolf includes cultural performances, horse races, Tiyn Teru (picking up a coin from the ground while on the back of a horse at full gallop), Kyz Kuar (“girl chase,” a race with a man and woman while the woman whips the man), and Kokpar (tug of war with a goat carcass while on horseback). All events take place a beautiful valley overlooking the Lakes Region of Tavan Bogd National Park. Gers and tents are available as well as local food and crafts. Several tour packages are built around the event, going through the park before or afterwards.